The weather is still pretty cold here in Seattle, so I have been dressing in layers. My brother actually lives in Virginia, and he has over 26 inches right now, so I really shouldn't complain about the cold! I cannot believe the snow storm that is happening right now back East, so if you're there, I hope you are doing well! I thought it would be good idea to share what I've been wearing this winter, so today I'm going to be doing a little OOTD! I wear this outfit probably every week (oops), but when you're in college, you tend to recycle OOTD's pretty frequently! Scarf: I actually crocheted it myself with giant yarn! 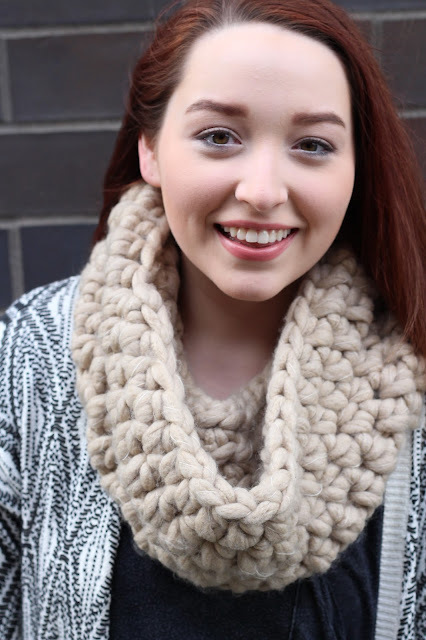 This cowl has been my favorite thing this winter! It's so chunky and warm, which is perfect for this colder weather we've been having! I always feel so much warmer when I have a scarf on, are you the same way? 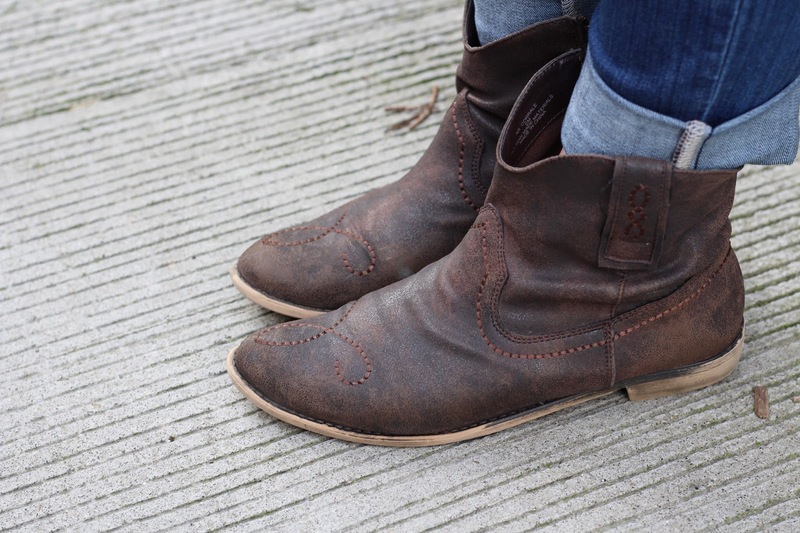 These shoes are always a go-to for me, because they go with everything! I really need to get a new pair of booties, though, because I've had these for so long. We've had a couple of sunny days, so I am really dreading going back to the rain here in the city! The little rays of sunshine that have poked through the clouds have been so nice, and I'm excited for the spring, even though I have been loving giant sweaters and scarves! Love that sweater! & I can't believe you made that scarf!! Its awesome! What a great laid-back look! Love the snood!